October 13, 2018 3:00PM Venom Boston L Poole Rd. October 20, 2018 12:00PM Venom NOVA W Poole Rd. February 24, 2019 8:00AM Clinic N/A N/A Poole Rd. 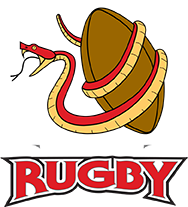 March 9,2019 12:00PM Venom DC Furies Poole Rd. March 16, 2019 TBD Venom Charlotte Poole Rd. April 13-14, 2019 TBD Venom Gold Cup Poole Rd. May 4-5, 2019 TBD MAC Playoffs Poole Rd.